be vocal about the positive! in front of others, talk about how you're proud of your spouse. tell others how kind your spouse is, how all his hard work paid off, how he thoughtfully washed-dried-folded that mountain of laundry you hadn't had a chance to start. 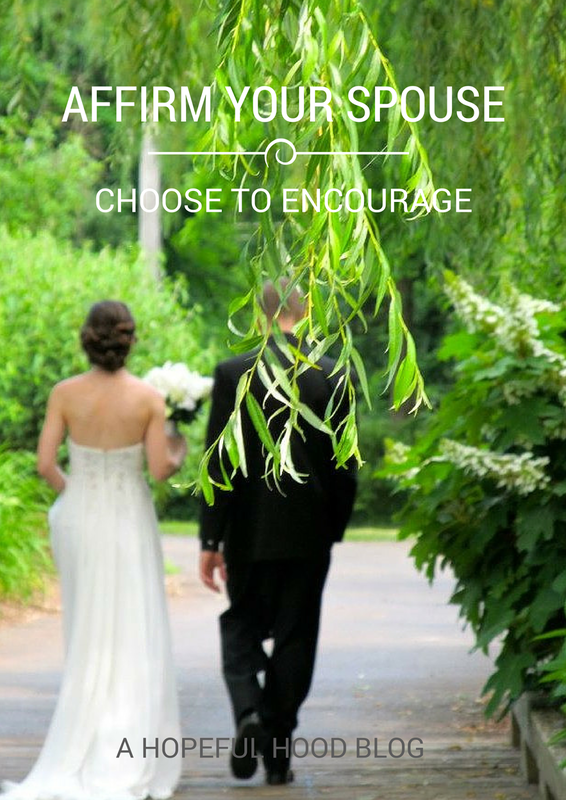 by focusing on your spouse and their great qualities, you are encouraging them. you are loving them like Jesus does--he forgives our screw-ups and failures and loves us no matter what. but this isn't just for your spouse--kindness and speaking well of others is infectious. it's too easy to slip towards gossip, but what if you did the hard thing and started a conversation with what you appreciate about someone?